When I try ti upload my enero theme to Shopify it keeps on saying error and won't accept the theme upload. Thank you for keeping in touch with us, much appreciate! On Unero, we created an app allow to install theme and skins directly. Please follow video guide below for more explanation. How do I edit pages. Which's page do you wanna change? Your question is very vague. Please give me more details of your questions. I want to change the about us page and terms page. Please help me verify it again. How do I take off the this was develop by roartheme at the bottom of my page. How do you delete the unero box. Did you wanna change layout type or delete a theme skin? I wanted to change the middle box to say ASPEROUS. => Can you take for us a screenshot? Your description is very unspecific. => Contact tab? Does your mean contact page on Unero? Its the box thats on the home page that says unero fashion and furniture and I meant the account tab by the bag tab. I'm not clear your questions. Please send us store url and attached screenshot about this content as your mean. I want one of the box to say ASPEROUS and there is no account tab. How can I change the homepage boxes. How do I change my newsletter box. My checkout cart won't work. When I try to buy product it says wishlist. Please give us a screenshot and your site for more details. 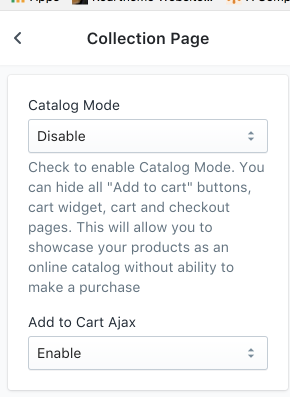 We had setting allow disable add to cart function. Please check it again on theme settings. You should read description carefully before doing any theme settings.